Last Sunday was the culmination of the week-long Cinemalaya event. Cinemalaya is an annual festival dedicated to independent filmmakers, often featuring new artists and socially-relevant topics. It was also the last day that I got to watch any movie from the film fest. Honestly, I never had too much time for Cinemalaya until this year. My unemployment rendered me available to watch more than my fair share of movies, beginning with Shorts B and ending with Dagitab, with 1st ko si Third and Mariquina sandwiched in between. I’m no movie critic, but I found Mariquina incredibly fascinating. It was a movie about the complicated relationships of a broken family, set in Marikina during its shoe-making heyday. Not only was the acting great (I found that scene where Ricky Davao just broke down during his dinner after learning that his wife left him particularly moving) but the setting also hit my wanderlust. So, here I am sharing with you a day when I hit Marikina. (Note: This day trip was done quite some time ago.) You see, even though it’s quite near my house, I never got to write anything about it — simply because it’s so close to home that sometimes I do not regard it as travel. 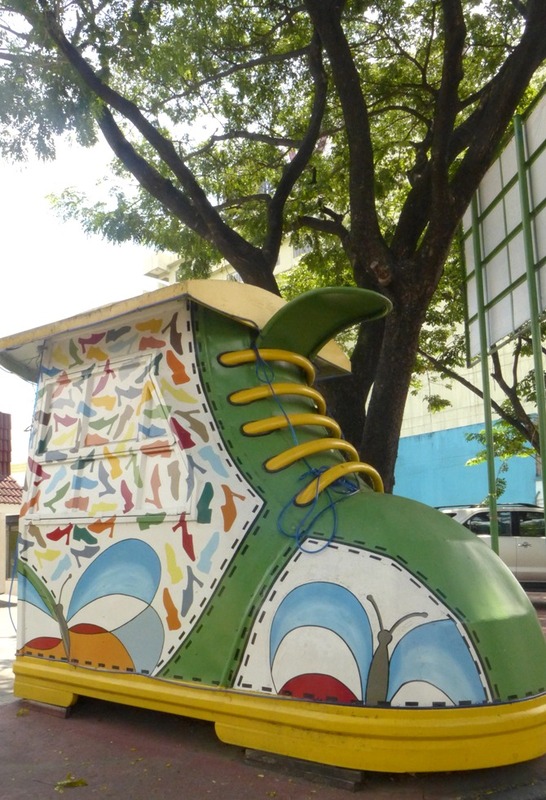 But for the purposes of a movie-inspired travel post, here it is. I was craving for Thai food one particular day but I found the prices of the dishes good Thai restaurant quite expensive. When I told this to Jai, he told me he knew of the perfect place — a Thai friend of his brought them to that restaurant during college. That’s when I discovered Krung Thai. Krung Thai wasn’t nearly as what I expected it to be. You know how glammed up Thai restaurants are in the metro, but this didn’t even cut close. It’s really near the public market, and the restaurant sat on a corner of a rather crowded street. Its appearance was unassuming of the great quality of food they served inside. While it was just past eleven o’clock, we entered a restaurant full of patrons. Believe me, it’s one of Marikina’s best secrets. 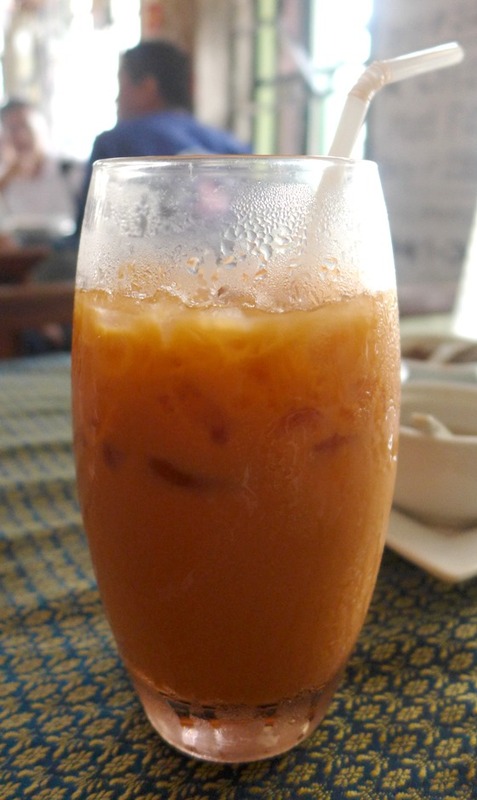 We ordered green mango salad, pad thai and a glass of Thai milk tea. 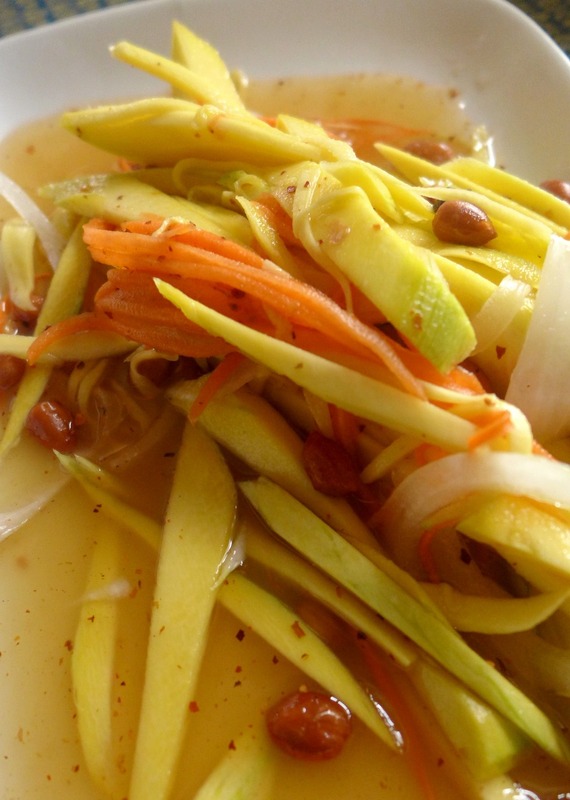 I loved the sourness of the green mangoes coupled with the spiciness that the dressing brought. 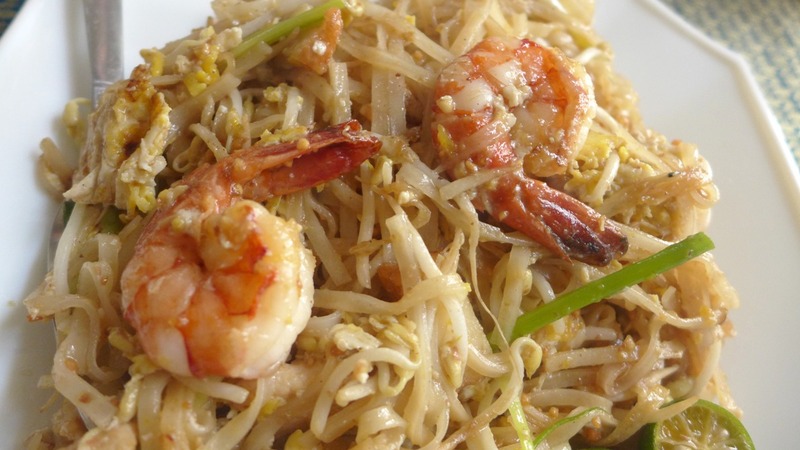 The pad thai greatly balanced the three striking flavors of Thai cuisine – sweetness, saltiness and sourness. And the milk tea? It was strong and not too sweet. I loved it. 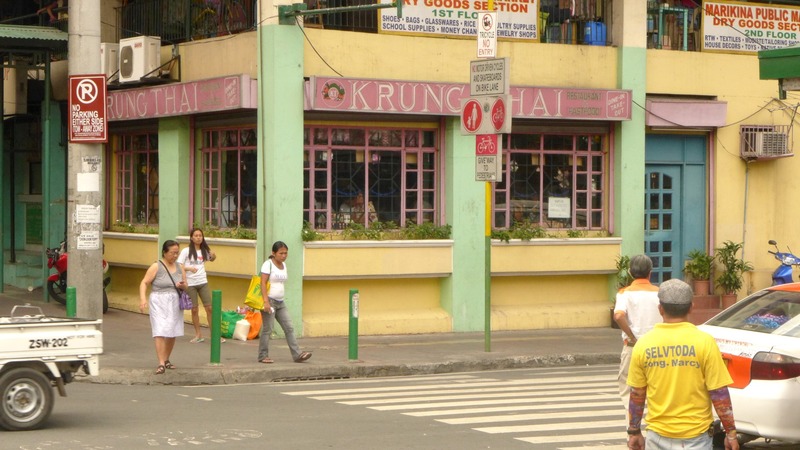 We headed next to the place that put Marikina on the spotlight. 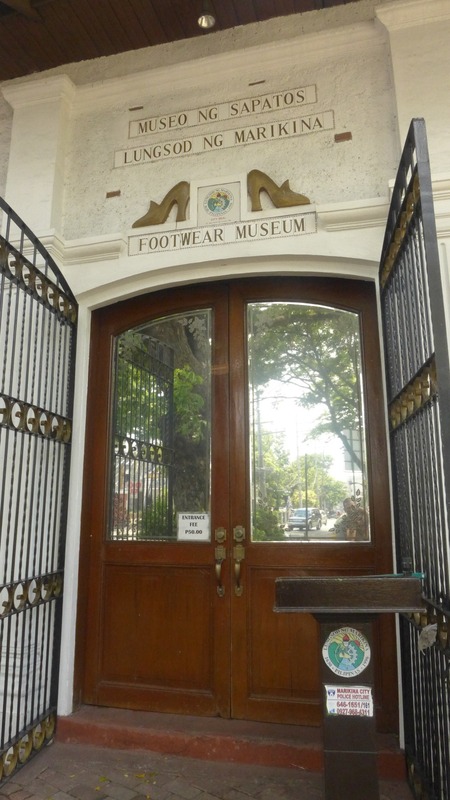 Though the shoe-making industry is almost non-existent nowadays, we visited the place that salvaged the pieces that served as testaments to the greatness of Marikina’s shoemakers: the Marikina Shoe Museum. 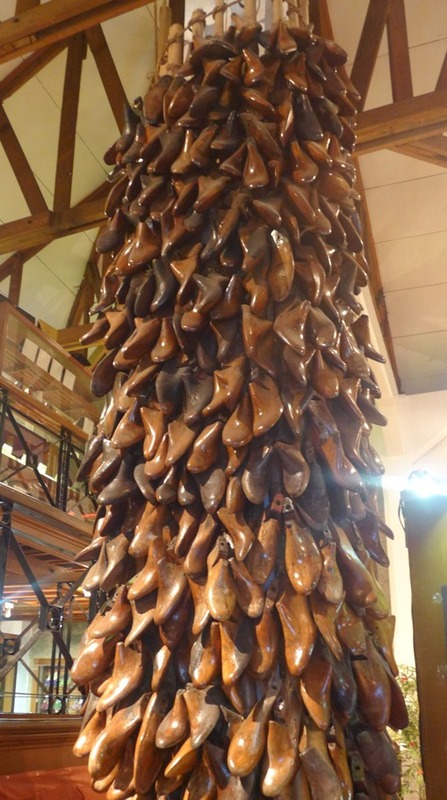 Here were the foot moulds used by the shoe artisans as well as the different kinds of shoes around the globe. 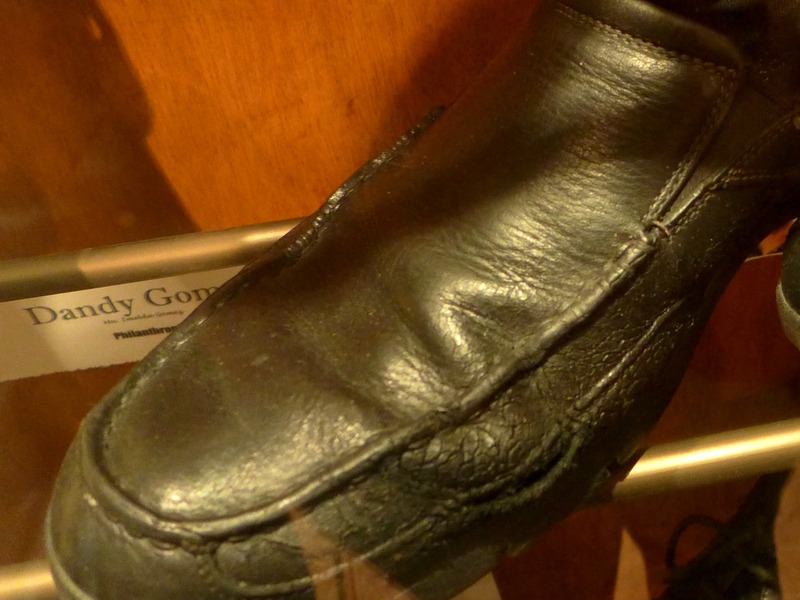 Also on display were the shoes worn by some of the country’s famous people. 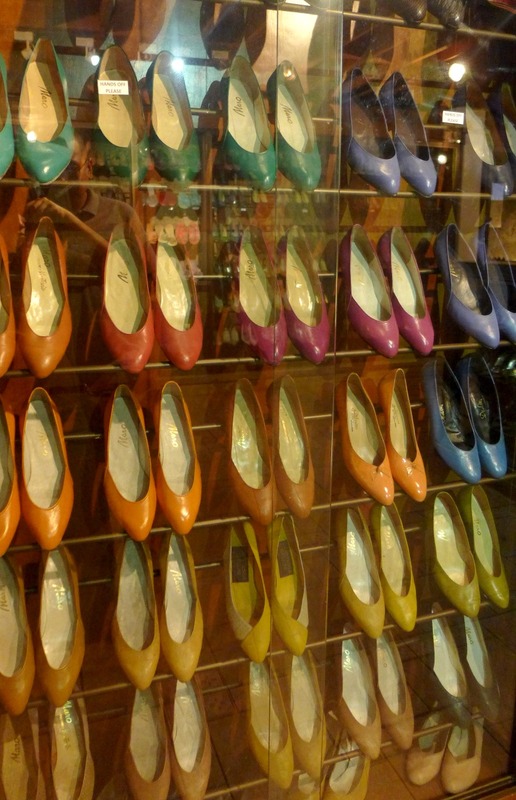 Here was a collection of Imelda Marcos’ shoes, where most resembled just a few unique designs but were available in so many colors. 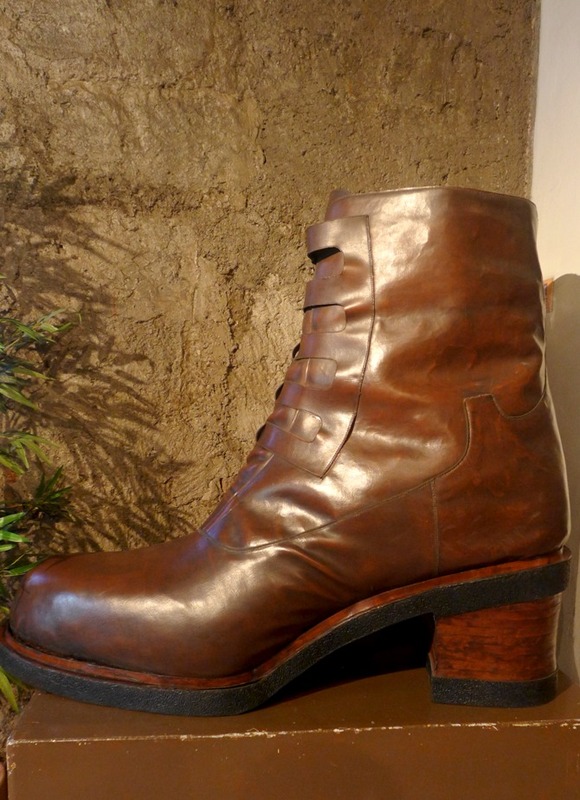 Former President Arroyo’s shoes were also on display, as well as Senator Lacson’s. The most interesting pair that I saw was that of John Gokongwei’s. They were worn, proving that they were really used. 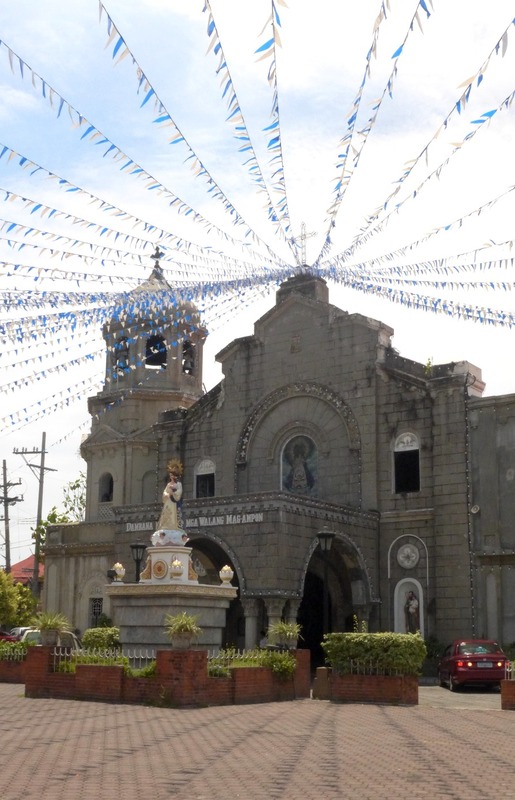 Across the street from the museum was another famous landmark of Marikina: the Our Lady of the Abandoned church, where the patron saint of Marikina lies. The exterior was festive with its fiesta streamers hanging in front of the church. The interior was quiet and solemn, a world different from the busy roads filled with jeepneys outside. We called it a day and headed back to Quezon City.